If you are looking for a map of your favorite National Forest for your next vacation, check out the National Forest Store. This Web site sells U.S. Forest Service maps for many of our National Forests throughout the country. The National Forest Store continues to add maps to its inventory, so check back often if you don't find a map for your particular destination. 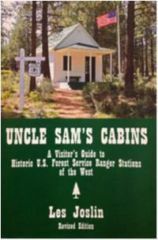 This revised and enlarged edition of Uncle Sam's Cabins is a step back in time to more than 90 historic U.S. Forest Service ranger stations and guard stations on national forests throughout the West--stations from which early-day forest rangers patrolled and protected America's magnificent National Forest System. All these historic stations have fascinating stories. Some remain in service, and many more are recreation rental cabins. Buy one now for $20 (includes shipping) by contacting Les Joslin lesjoslin@aol.com. $5 of your purchase will support the National Forest Foundation. Whether you are cooking at a campsite or in the comforts of your own home, Camp Cooking, 100 Years is a must-have for all kitchens. 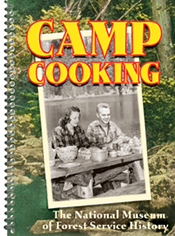 Forest Service employees have dished up their favorite camp recipes in this cookbook, created by The National Museum of Forest Service History. The book is a collection of recipes, historical photos and facts â€“ a perfect campfire companion. Recipes are suitable for high-tech camp kitchens or low-maintenance backcountry cooking.